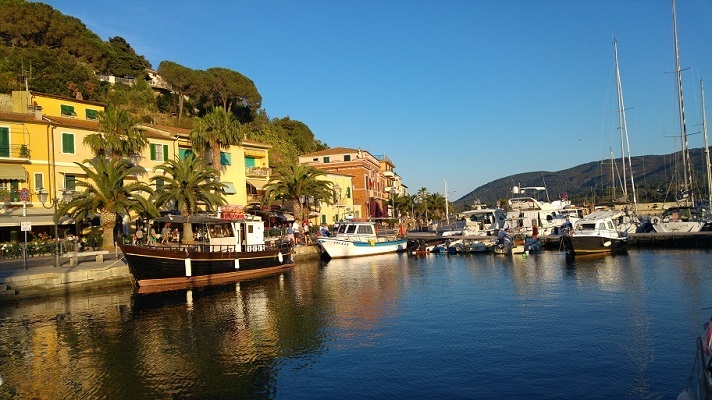 The Sud Est Residence is fortunate to be a two minutes drive from the splendid village of Porto Azzurro, considered “The sitting-room of Elba”. 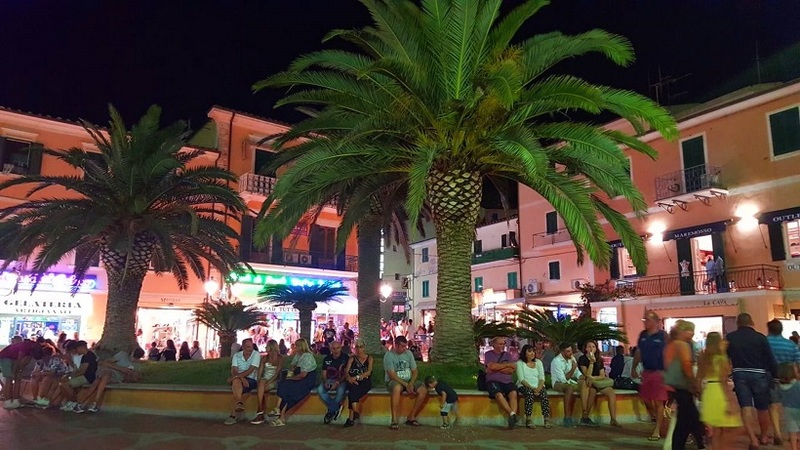 Its square, which is located directly by the sea, is one of the most beautiful in Italy and in summer, with its colorful shops, street artists, concerts, craft stalls and local products, it is packed with people who like to stroll in the evening among its characteristic streets and along the harbor. The ancient “Porto Longone” was founded back in the seventeenth century with the idea of ​​becoming a fortification capable of defending the whole territory, and confirming this is there is the still clearly visible, famous “Forte San Giacomo“. 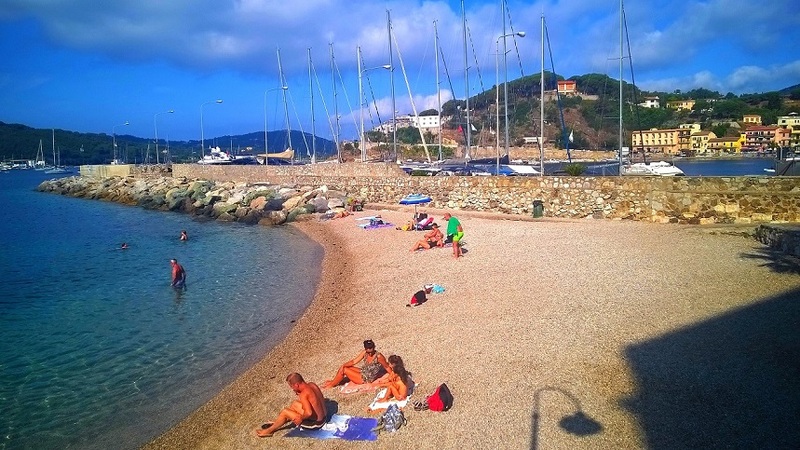 Among the most beautiful beaches of Porto Azzurro we find those of Barbarossa, Reale and Terra Nera, but even the small “Pianotta” has nothing to be envious of the other three. In addition to its undoubted charm, one of the things to appreciate most of this seaside village is to see the children playing freely and happily in its square: in fact, in summer, every evening from 8 p.m, the promenade and the square by the port become a pedestrian area, allowing everyone, parents and children, to spend pleasant evenings, in tranquillity and security. Parking possibilities: Piazza Eroi della Resistenza (free and paid parking); public car park of the Supermarket Conad (be careful and park within the white stripes) which is located in Santissimo; Parking in Piazza de Santis (both free and paid). 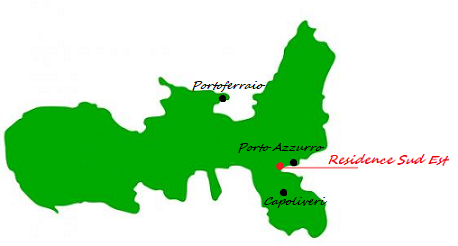 Supermarkets: A Coop (in Viale Italia) and a Conad City (in Santissimo); At “Armando in Porto Azzurro” (in viale Italia) you can find typical local products. Places of interest: Santuario della Madonna di Monserrato, Chiesa della Madonna del Carmine, Laghetto di Terra Nera, Cima del Monte. Important festivities: 1st of May in Barbarossa, celebration of the patron Saint Giacomo (25th of July), celebration of the Madonna del Monserrato (8th of September).